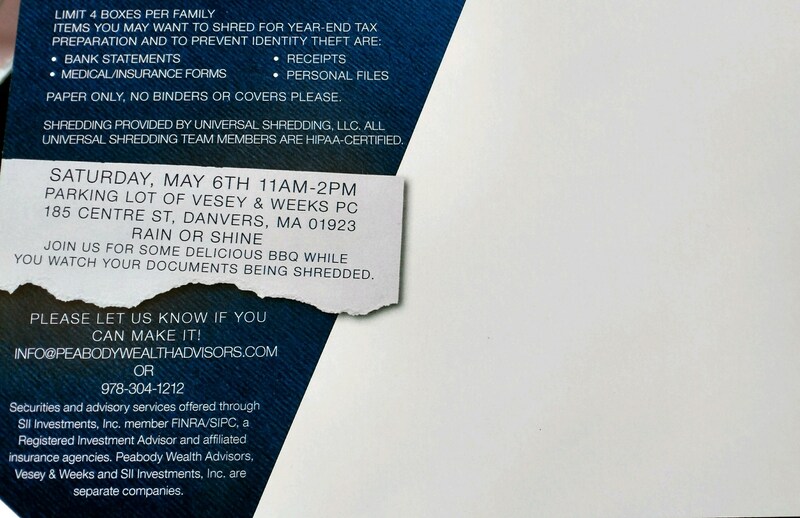 « It’s that time of year again…free shredding and BBQ!!! 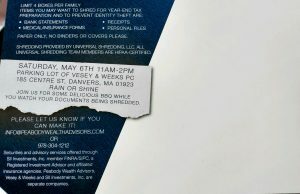 Free Shredding and BBQ this Saturday May 6th, 2017! Just a reminder that our annual free shredding and BBQ event will be this Saturday May 6th from 11am-2pm, everyone is welcome! This entry was posted on Tuesday, May 2nd, 2017 at 1:33 pm	and is filed under Events. You can follow any responses to this entry through the RSS 2.0 feed. You can leave a response, or trackback from your own site.